Today it’s as easy to become published as signing up for a blog. You can self-publish multiple times a day if you wish. Blogs have become popular among most age groups, but especially among millennials. Students have started blogs on different subjects for many different reasons. From a class assignment to a personal journal, the types of blogs vary. Senior exercise science major Hunter Atkins has a blog he started earlier this year that has a goal bigger than himself. Atkins said he wants the blog to be an outreach to young men like himself to get healthy physically, mentally, and emotionally. Last semester he started the blog but stopped posting in order to gain more experience in the subject matter he was writing on: young adult depression. “I wanted the blog to be a way to network with people who have issues,” Atkins said. While Atkins is not currently posting, his blog inspired him to buy a domain name and create an official website for young men to come to learn about mental, physical and emotional health. Allison Hammerle, a sophomore English major, started a blog in 2010 targeting her friends, family, and hopefully some future employers. Any good blog should be targeted towards a specific audience. Allison Hammerle, a sophomore English major, started a blog in 2010 targeting her friends, family, and hopefully some future employers. In her blog she posts chapters from her latest fantasy book as she writes them, poems she writes, and other writing tips and tricks. Last week she reached 1,000 views over the history of the blog. “When I was in high school I wanted to be an author, but I heard that a lot of getting to where you want to as an author is getting things published and having something out there,” Hammerle said. She said that she was hoping for more feedback than she receives in order to improve her pieces. The blog would serve as a way to reach out to her audience and improve what she is writing. Elizabeth Finley, sophomore communication arts major, has a blog that is also targeted towards a different audience. After receiving encouragement from her friends to do something with her unique sense of fashion, and using the inspiration of The Day Book she started A Little Bit of Loveliness. She posts outfits she wears on a weekly basis, as well as tips on how to get those outfits or put them together inexpensively. Finley targets the college-age woman. Her blog shows how easy it can be to look nice and put together without spending a lot of money. 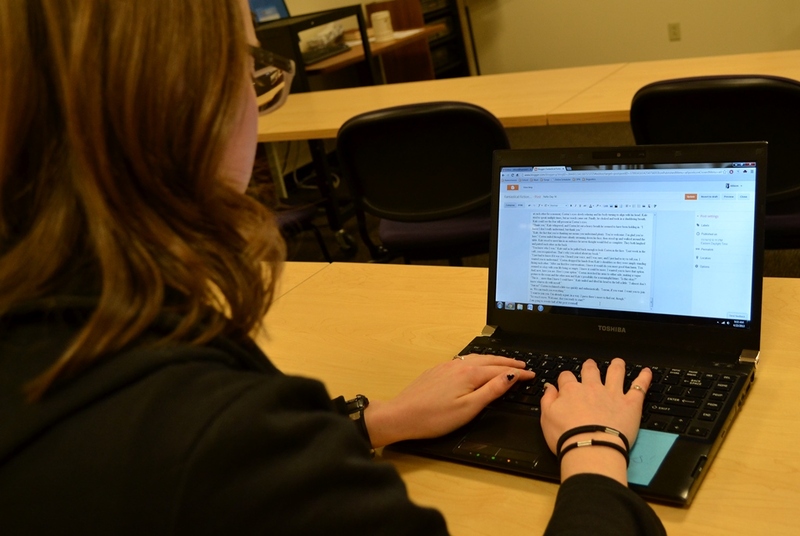 Students can be their own publisher by writing a blog and can attract audiences as unique as their subjects. While all three students currently have small amounts of followers, they are hoping to grow their audiences. Chelsea Weikhart is the 2012-2013 news editor for the Aviso AVW.